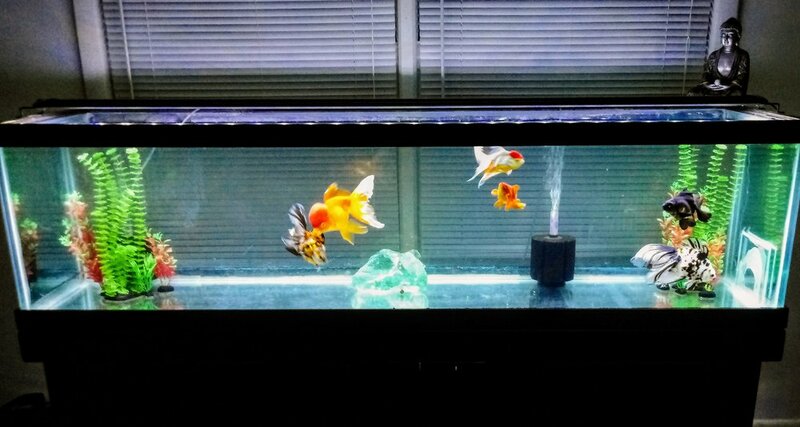 I have several goldfish but these 6 are my favs so I brought them out of the fish room back into the house a few days ago. I like having them upstairs so much more. Oh they are beautiful! I want that black and white one. I've wanted one like that for ages. I'm stocked right up at the moment but I'd still grab it if I saw one like that! Thank you! These guys are all older fish tho the youngest one in there is like 7 or 8yrs. That black and wht one is 12 lol. The all black one is going black and red. Got him from zhao's fancies a long while back. He's been a beautiful and very healthy fish. Zhao usually has similar black telescopes for sale every week. Decent price for a high quality fish. Beautiful! What are the dimensions of that tank? Most large tanks have excessive height, but this one looks fine. 6ft long and 18 or 19 inches deep I think. Been a while since I measured. Its an old tank . Is the sponge filter the only filtration you have in this tank? 2 sponges. The other is hidden behind the plants. I test parameters daily and do a 90% water change twice a week. The second WC isnt entirely need but thats just my routine. These guys are are so big and have such heavy finnage that high flow filtration creates too much current for them. 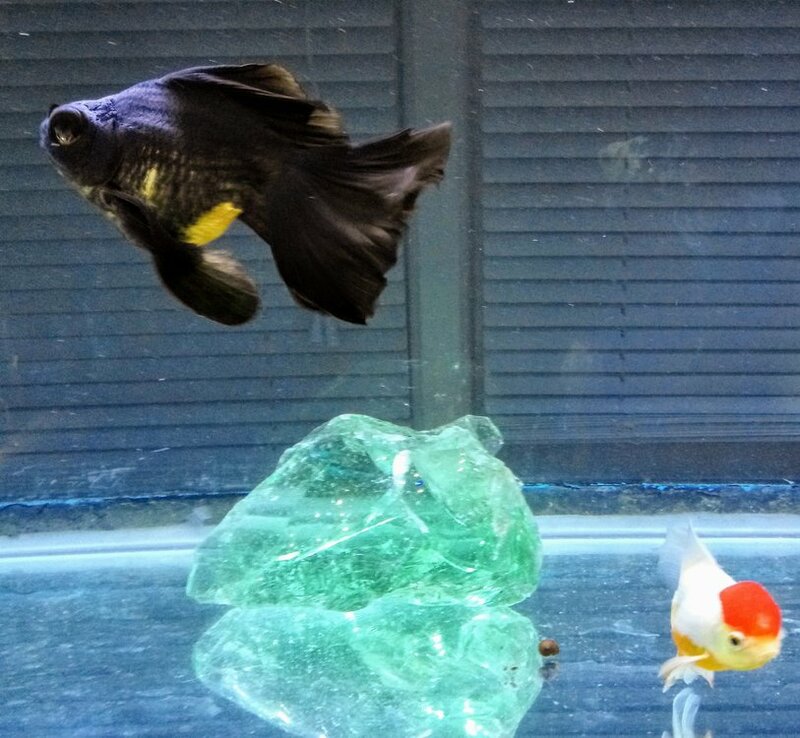 They spend all their time bottom sitting and their fins get ripped up when i use any thing stronger. Plus sponges are efficent filtration/aeration, they are quiter, and they're cheaper to run per month. I have several tanks and found that switching most of them over to sponge filters knocked about $50 off my power bill.